The Pantherella Faith Fairisle Cashmere Socks are ankle high socks with the bold fairisle design. The Pantherella Faith Fairisle Cashmere Socks are ankle high socks with the bold fairisle design. 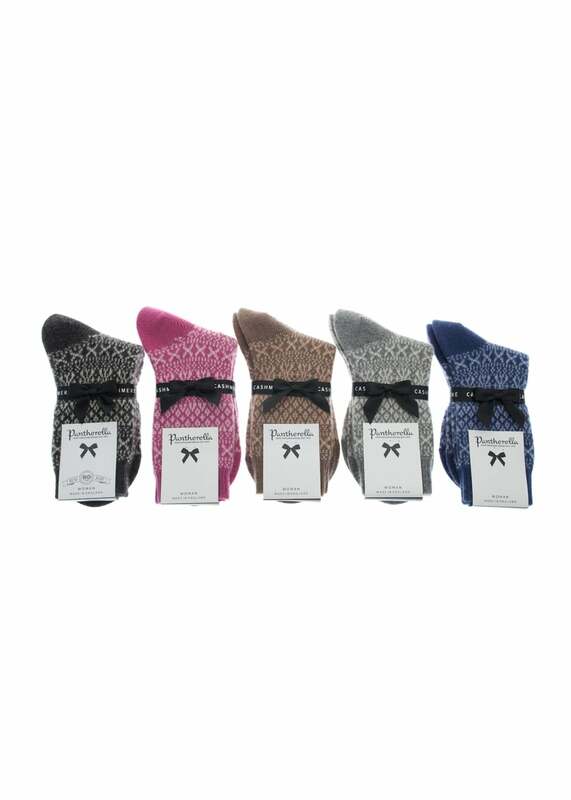 The Faith Fairisle Cashmere socks from Pantherella are made from the finest yarns and are hand finished for the premium quality finish Pantherella is renowned for.